The term "Elements" is a bit confusing that refers to the general conditions in contracts. Export contracts invariably refer to the subject matter of the contract. In addition to the subject matter, it is advisable for both the parties to incorporate several general conditions in the contract, in particular, rights of the parties in case of failure of performance or other contractual obligations. The goods may be lost, stolen or damaged during transit. Who would bear the risk in such a situation? If the contract specifies the position clearly, lot of litigation and approaching the court can be avoided. Physical movement of goods involves cost. Who has to bear the costs and up to what point? These issues are resolved by incorporating the elements (general conditions) in export contracts. Most exporters have developed standard general contracts. It simplifies the day to day operations and also reduces the possibility of missing certain items. 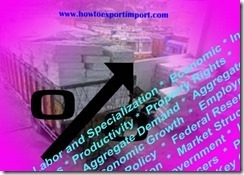 The complexity of the conditions depends on what is exported. If the items exported are common items such as handicrafts, garments or normally used consumption items, standard general conditions contract is sufficient. However, if the goods exported are complex item such as petrochemicals, the export contract has to be drafted with a great deal of care, which may turn to be voluminous running into hundreds of pages. The Ministry of Commerce, Government of India, has set up Indian Council of Arbitration. It has developed a model set of Contracts for the benefit of exporters. These model contracts are suitable, in case of most small and medium enterprises.